Polar as a brand had a history in the world of fitness tracking since four decades ago when it had a breakthrough in taking heartbeat monitoring to the next level. In 1977, the company made a wireless heart rate device making it the first ever to achieve such feat. It has since then started making running watches for top athletes since then. The Polar M600 is the first Android Wear smartwatch from the Finnish company. 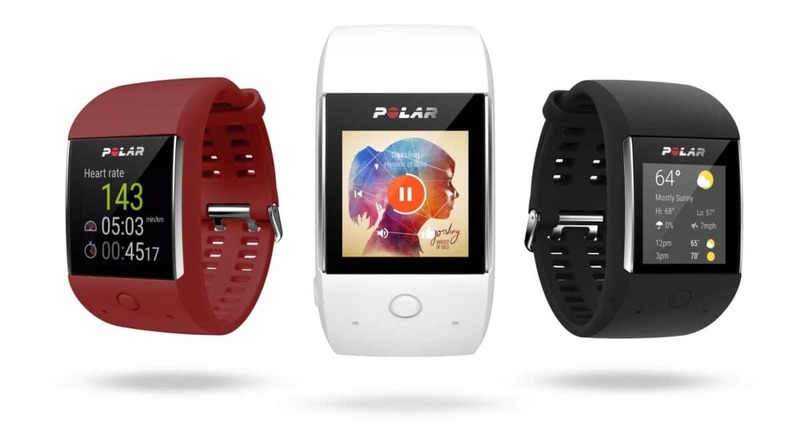 The Polar M600 Fitness Tracking smartwatch takes after the initiative of last year’s Polar M400 which bridged the gap between activity tracking and a smartwatch blended with the design of the wrist-based heart rate monitoring of A360. The inclusion of Android Wear on the M600 ushers in more features available for a more definitive user experience. It basically brings to the features present in other smartwatches except for its dedicated fitness app that comes with the Polar models. It comes with a durable silicone strap, built-in GPS, GLONASS and an IPX8 waterproof certification which makes it fit for swimming. Regarding its design, it lacks that look like most fitness smartwatches. It is easy to dismiss the M600 as one of those bland Android Wear out there. Anyways while the smartwatch is not trying to compete with the likes of Huawei, Tag Heuer Connected, Movado and others regarding screen display or aesthetic. The M600 is a fitness tracker or more like a sports watch then Android Wear smartwatch later. There is nothing wrong with the look of the M600 as a sports watch. It is comfortable around the wrist, study and not too big with a thickness of about 13mm and a weight of 63 grams. The M600 is 16g lighter than the V80 which was the company’s first multisport GPS watch. The tough silicone strap is flexible enough to be worn for long during workout or runs, however like most of its colleagues, it is prone to dust. It has a 1.3-inch display with a resolution of 240 x 240 and a pixel density of 260ppi which pretty much serves the purpose. The M600 brings in new features like reading indoor swimming metrics which is an excellent addition to the feature of the fitness tracker. The metrics measure pace, distance, strokes per pool length and strokes per minute. It is capable of measuring the style of swimming you are doing whether its backstroke, freestyle, butterfly styles and backstrokes. The Polar M600 on coming up for the first time demand that you download the proprietary Polar Flow app onto your phone or if you already have it, it comes up on your phone and asks you to sync with your M600 smartwatch. Your smartwatch sync with the flow app and is able to display your stats as well as saving your data in the cloud. The Polar M600 runs on a MediaTek MT2601 dual-core processor, 512MB RAM and a 4GB internal storage. It is powered a large 500mAh battery which lasts for some days with GPS on and music playing through your Bluetooth headset.